Tamper Technologies has been a market leader and innovator in the design and manufacture of security label and tape products for over 14 years. Tamper Technologies is a specialist, security label and tamper evident tape manufacturer with a proven base of expertise in printing, adhesives, silicone release technology and converting, with a rapidly expanding network of approved distributors throughout the world. 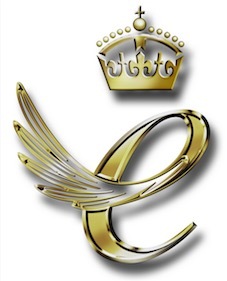 Tamper Technologies Ltd. won the prestigious Queen’s Award for Enterprise 2010 in the International Trade category and the Queen’s Award for Enterprise 2015 for Innovation. The Queen’s Award recognises Tamper Technologies success around the world. TamperTech’s range of security tapes and tamper evident labels significantly enhance the protection of security of cartons, crates, polythene bags, packaging and boxes worldwide. Our success as a manufacturer of tamper evident solutions ensures that we provide our customers with both standard and “customer application specific” solutions depending upon their specific requirements. Special consideration is given to application parameters such as substrate, sealing site, temperature, humidity, and the expressed concern for pilfering method or location (e.g., outer packaging, inner bag, etc.). The end result – the highest quality solutions produced in a fast, thorough and repeatable manner with heavy focus placed on process control and documentation.